Thirty years ago when Henry Jaskot started at Triangle, he said he was in the right place at the right time. At Henry’s previous manufacturing job, many of his mentors had worked with Willie Strohmeyer, one of Triangle’s founders. He had always heard great things about Willie and when an opportunity opened up a Triangle, Henry came in for his interview and was hired on the spot. For over 24 years, Henry turned everything from tank parts to exercise equipment to medical devices on his lathes. The opportunity to be involved in so many different projects was what he liked best. Henry thrived as the Lead Turner at Triangle and enjoyed all of the hands on problem solving he was able to do. He loves learning and being a part of so many different jobs kept him quick on his feet. 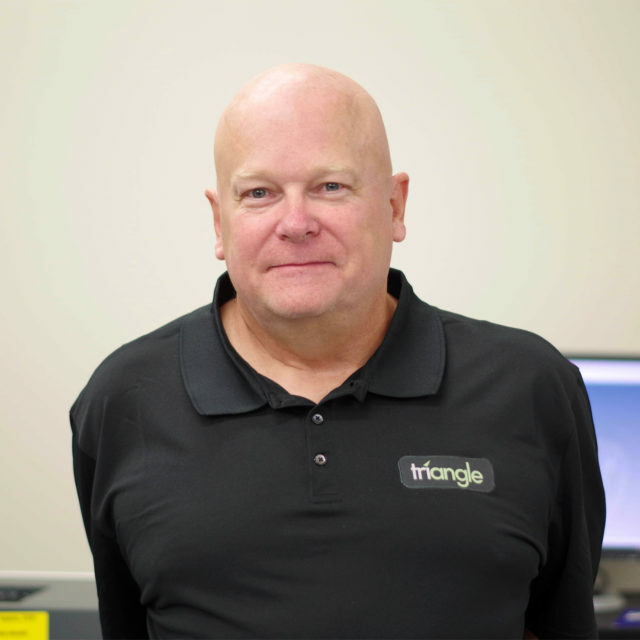 As Triangle grew and forged their niche in medical device manufacturing, Henry had a front row seat. The advances in technology made it quicker and easier to run jobs and with Triangle’s reputation for quality, they became less of a job shop as their steady customer base continued to grow. Henry says that he is “old school” – though he appreciates the advancements in technology, he missed being more involved in the machining process. About six years ago, Henry was asked to help train his colleagues on inspection techniques. Soon after, he decided to use his years of experience to become an inspector. Henry continues to teach others and support manufacturing in his role of Lead Inspector. Henry is thankful for all of the opportunities that have allowed him to be successful over the past three decades. Outside of Triangle, he enjoys life through travel. Henry has been to many national parks including his favorite, Yellowstone, which he has visited 13 times. His greatest passion is fishing, which he tries to do every weekend. When he isn’t fishing, he spends time with his friends at car shows. He has two Corvettes, a Dodge Challenger, and a Ford Raptor. If and when Henry decides to retire, he plans to leave NJ for a warmer climate and focus on fishing and relaxing. With 30 years of experience under his belt, Henry has some advice to offer associates: Learn something new every day, sweat the details, have fun doing what you’re doing, and relax. Triangle is ISO 13485:2016 Certified and FDA Registered. Contact us for more information.